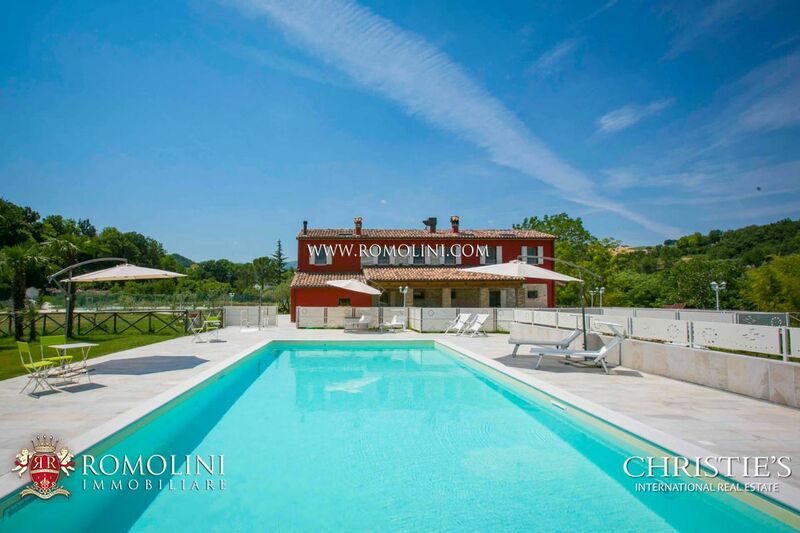 In Umbria, 1 km from the historic centre of Trevi, villa with pool, organic olive grove and farmhouse. 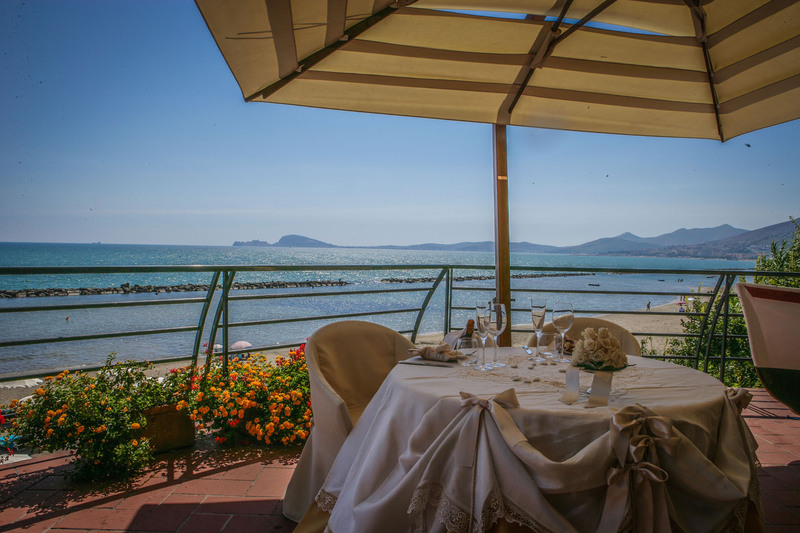 The property is surrounded by greenery, enjoys an excellent sun exposure and boasts stunning panoramic views. 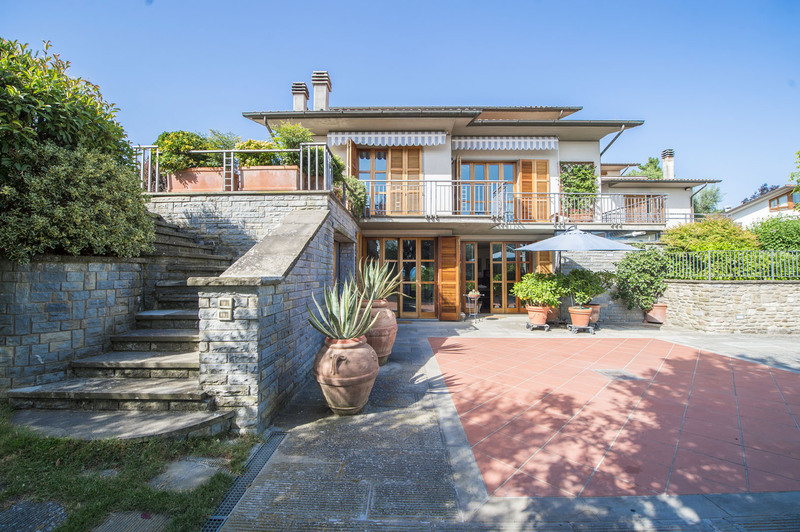 The villa is within easy reach of the Adriatic Coast (approx. 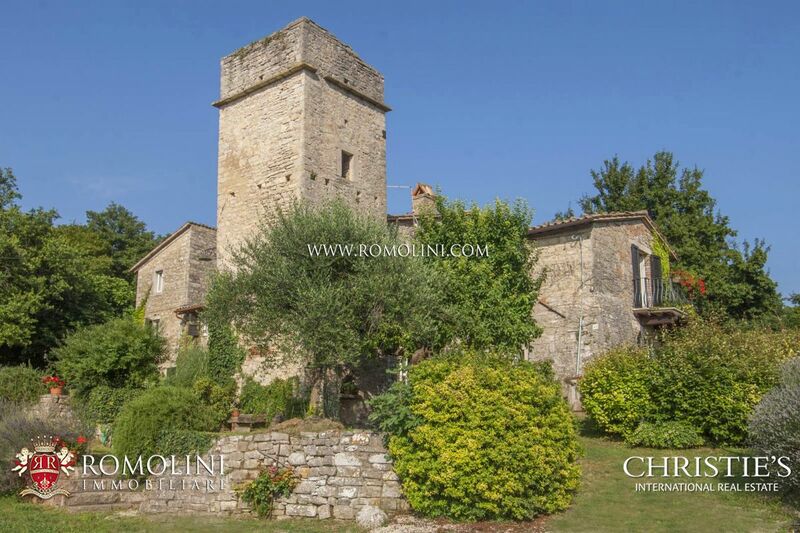 one hour away) and beautiful villages and towns in Umbria like Montefalco (13km), Spoleto (22km), Assisi (30km), Todi (44km), Perugia (49km) e Gubbio (72km). 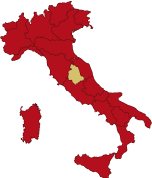 The villa is 500 m from the bus stop with connections to Trevi and Foligno; Rome and its airports are about two hours away, Perugia-Sant’Egidio is the nearest airport, only 39 km away. 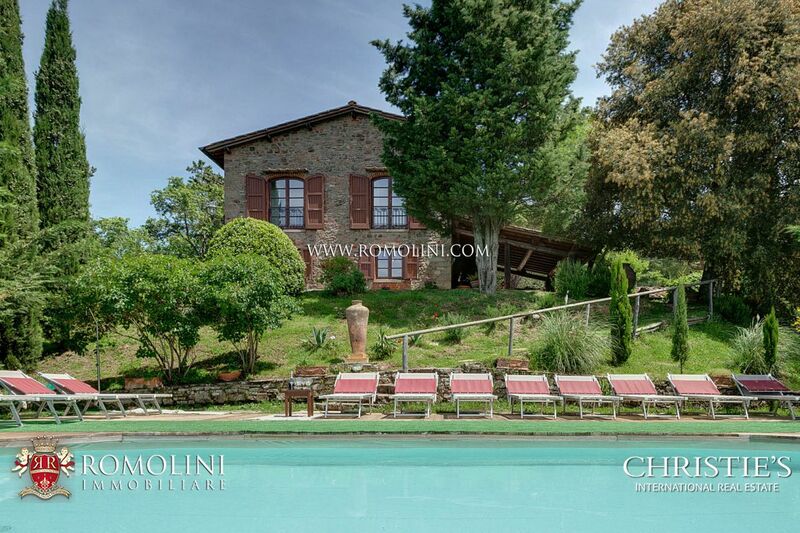 The property is composed of the villa and a farmhouse. The villa has a surface of 900 square meters and is laid out on three levels, composed as follows. - Ground floor: large lounge, two bedrooms with en suite bathrooms, multipurpose room and eat-in kitchen. 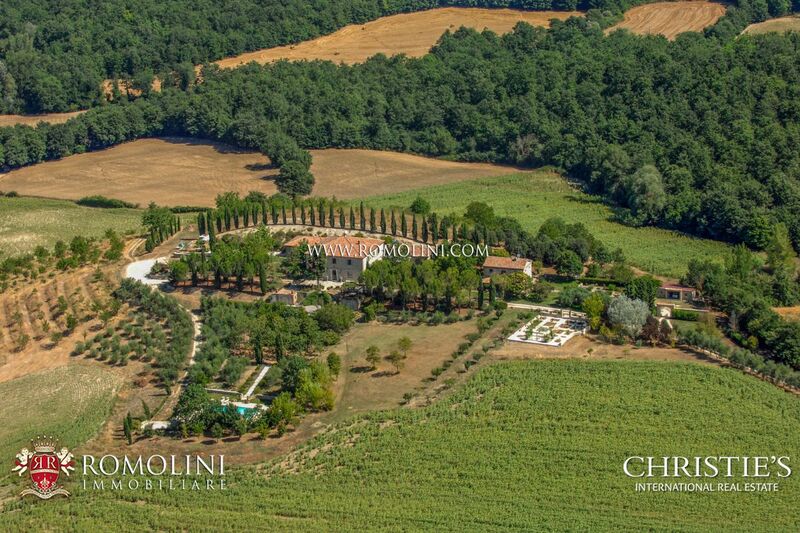 - Piano nobile: central sitting room, kitchen, dining room, study, two bedrooms and two bathrooms. - Second floor: three apartments composed of equipped kitchen, double bedroom, bedroom with bathroom. The apartments can host from four to six people. 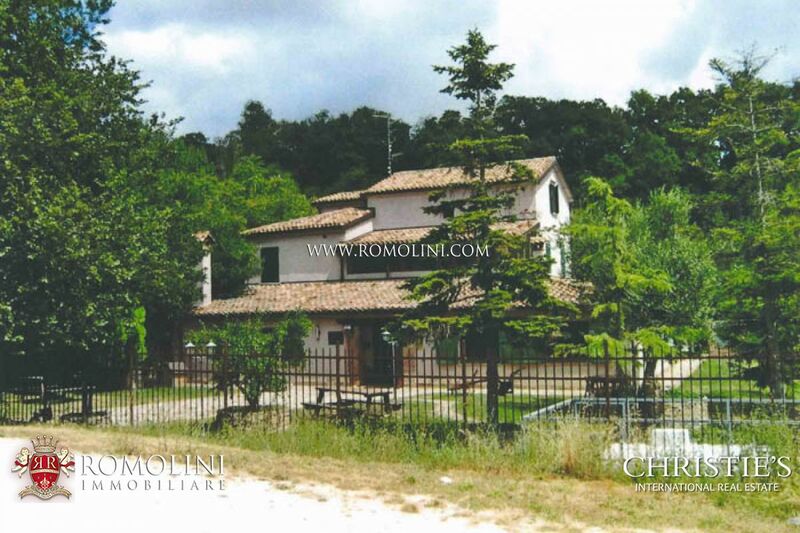 The farmhouse with external loggia has a surface of 160 square meters. 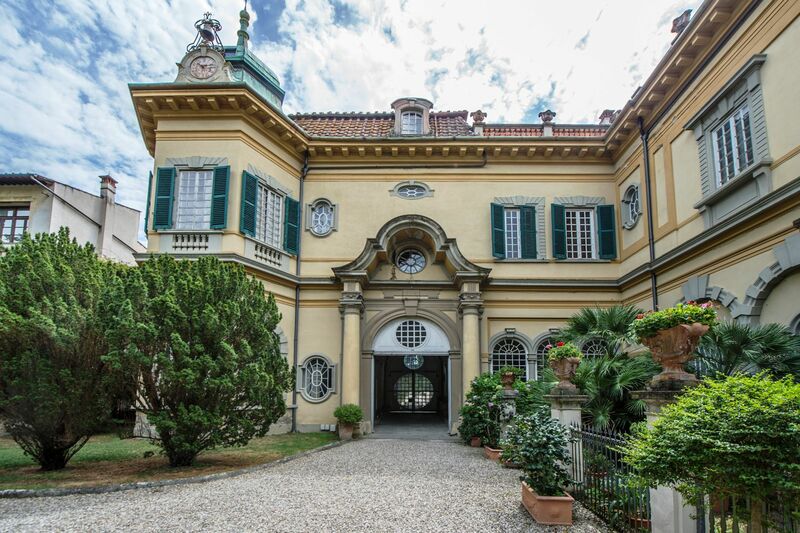 The villa dates back to the 18th century, it is in excellent condition and it features terracotta flooring, ceilings with wooden beams and terracotta tiles, frescoed ceilings, vaulted ceilings and stone fireplaces. The farmhouse dates back to the 17th century and it is in need of renovation. 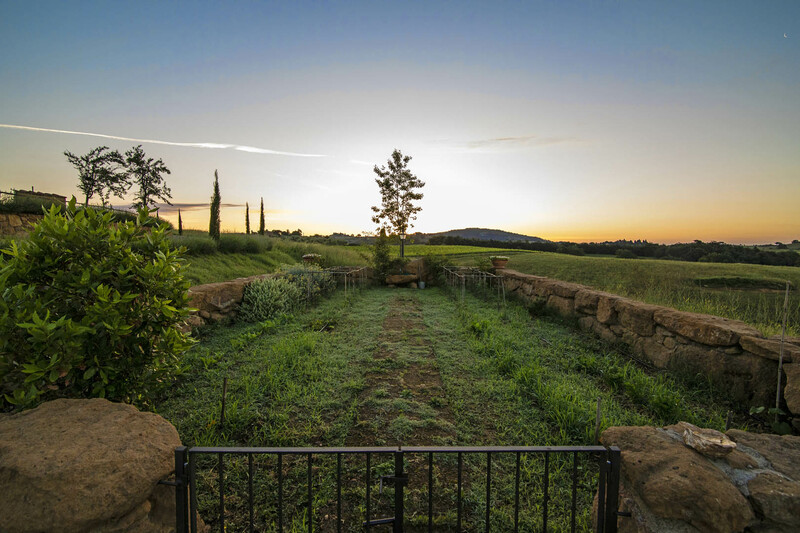 The property is surrounded by 5,3 hectares of land including a large park with cypresses, live oaks, oaks and an organic olive grove DOP with about 2000 olive trees. Cultivar: Moraiolo, Leccino and Frantoio. The swimming pool was built in 2001, it is situated in a very panoramic location and it has a changing room and a shower. 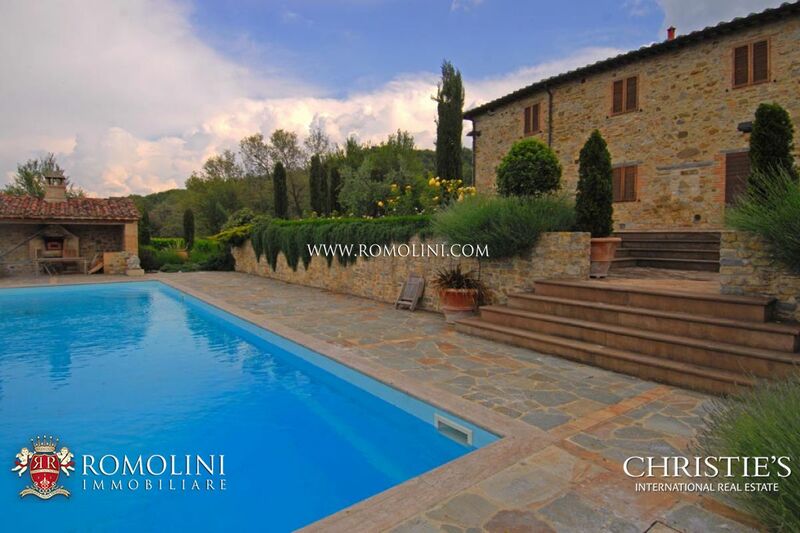 This prestigious property, which is divided into different units, is currently being used as an Agriturismo and as a private home. By restoring the farmhouse, there is the possibility to increase the number of bedrooms to be used as tourist accommodation.